Browse the bibliography or references at the end of a relevant book or article entry in a reference work. 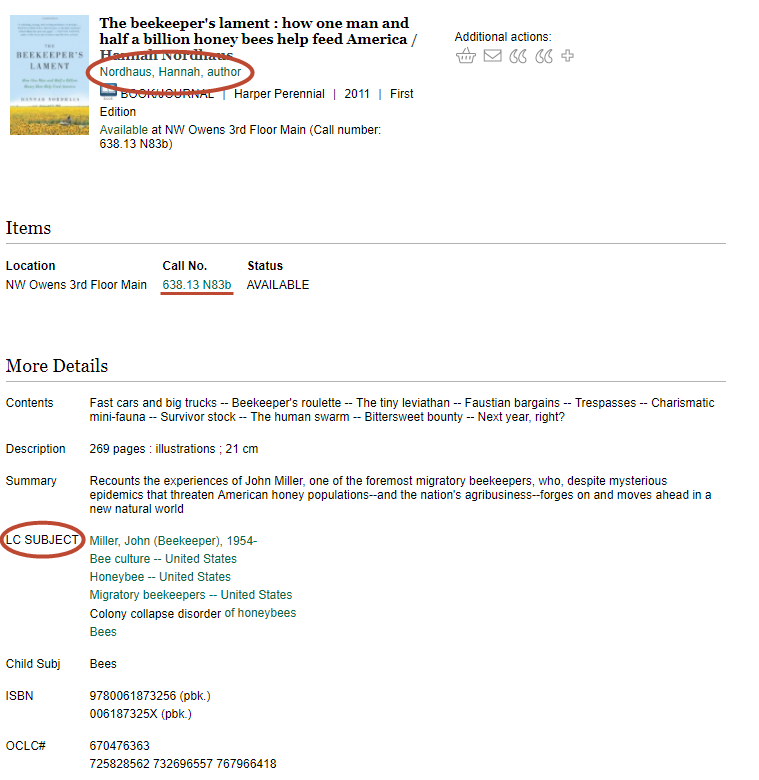 If you find a relevant book in the catalog, click on the title to see the full record. Then click on relevant subjects or on the author's name to see more works by her/him. You can also find the call number of the relevant book, and browse the area for more resources related to your subject. Use Google Scholar's "Cited by" link to find out who cited the relevant work. Or click on the author's name for other works by her/him.